The artist selection panel carefully considered each artist’s professional qualifications and examples of past work during the decision making process. Panelists included Gretchen Baker, Vice President of Exhibitions, Natural History Museum of Los Angeles County; Doris Berger, Exhibition Curator, Museum of the Academy of Motion Picture Sciences; Heeseon Choi, Director, Korean Cultural Center Gallery; Harry Gamboa Jr., artist; Rita Gonzalez, Curator and Acting Department Head, Contemporary Art, Los Angeles County Museum of Art; Suzanne Isken, Executive Director, Craft and Folk Art Museum; Naima J. Keith, Deputy Director, Exhibitions and Programs, California African American Museum; Stephanie Vahn, Beverly Hills Arts Commissioner, City of Beverly Hills. “I was honored to participate in the artist selection for the Purple Line Extension Section 1. Metro included the head curators from LA’s major museums, and these cultural institutions are deeply connected to the communities that will be served by the corridor. The knowledge the panel lent to the process was invaluable, and this is reflected in the caliber of the artists selected. The outcome is remarkable and I am proud to be part of the process,” said Stephanie Blackmore Vahn. “It was an honor to work with wonderful curators and artists. When I evaluated the artists’ proposals, I focused on the connection between communities and the works. I also considered the composition, the color, and symbolism that represents our community. I was introduced to many great artists through the selection and I hope people who live here and all visitors enjoy experiencing the artworks,” said Heeson Choi. “The panelists selected a truly outstanding group of artists for this project and we’re very excited to be weaving their work into the Metro system to be enjoyed by generations to come,” said Maya Emsden, Deputy Executive Office, Metro Arts and Design. 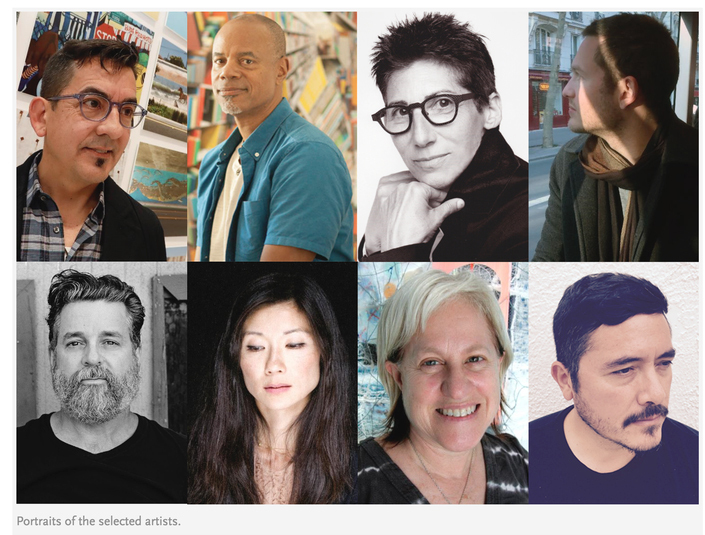 A series of Meet- the-Artist events will be held at cultural destinations in the Purple Line Extension project area this spring. Click here to sign up to receive information about upcoming Metro arts and cultural events, including Meet-the-Artists events. Click here for more information about Metro’s art program, including our popular docent-led art tours and cultural programming. You can also follow Metro Art on Facebook and Instagram.